In conjunction with the Nike International Friendlies, the 2016 Development Academy Winter Showcase proved to be another landmark event in U.S. Soccer's mission to develop world class players, coaches and referees. 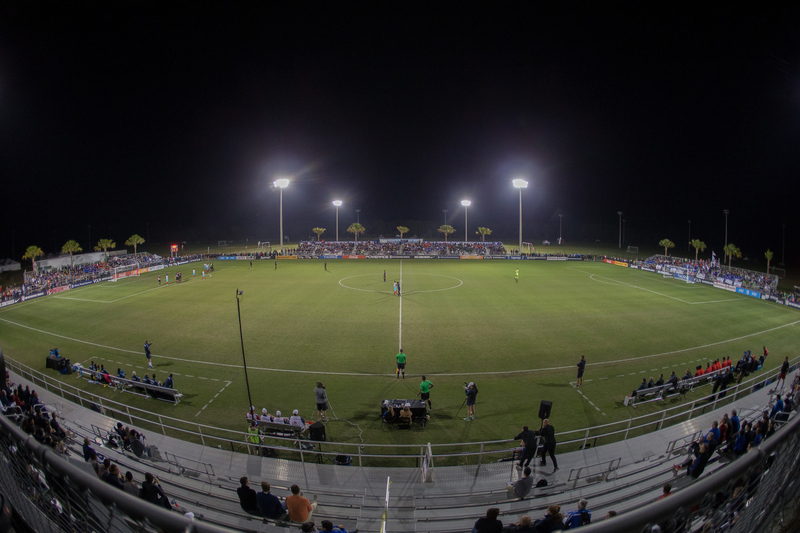 The combined event, which drew in over 20,500 spectators, 400 scouts and 40 U.S. Soccer technical staff members, allowed for the three major development areas to blend together in a single, concentrated, world-class environment. With the Nike International Friendlies serving as a marquee international event alongside the Winter Showcase, attendees were able to witness two distinct initiatives of U.S. Soccer: the U- 15/16 and U-17/18 age groups of the Development Academy and the U-17 U.S. Soccer Men's National Team. Visibility of the Youth National Team allowed visitors to further understand one of U.S. Soccer's key efforts to supplement development and provide international opportunities so that elite players can progress to the next level. With the U-17 Men's National Team sweeping the tournament with wins over Portugal (7-1), Turkey (5-1) and Brazil (3-0), spectators and Academy players realized the international standard while being exposed to a world class player development environment. From a coach development standpoint, the Winter Showcase paired 106 coach instructors with the U.S. Soccer coaching education staff and technical advisors. Coach education programming during the event included an Academy Directors Course and a National Instructor Workshop. The Winter Showcase and Nike International Friendly games allowed for a one of a kind learning experience as instructors were able to teach and explain concepts using elite player examples in live settings. Of the 565 referees who applied to officiate at the event, 171 applications were accepted. This pool represented 44 State Associations and each referee held a minimum Grade 7, with 14 holding a National Grade (4-3). The elite company of referees across the U.S. landscape were greeted by U.S. Soccer officials who were on hand to identify high-potential referees. Utilized as a referee education platform, the Winter Showcase brought in 27 U.S. Soccer referee mentors to spend time with each referee, giving them individual and crew evaluations, feedback and assessment after each game. The 27 mentors represented 18 State Associations and included National Coaches, FIFA referees, MLS referees, PRO staff and National Assignors. The elite level competition on the field allowed for each dedicated referee to continue their development in a high intensity environment. On the field, the ideal world-class environment allowed for 436 players to be identified for National Team opportunities by U.S. Technical Advisors, Scouts, and Youth National Team Coaches. Off the field, the hyper-focused environment allowed for supplemental meetings, data collection and training opportunities to help players develop in the other aspects of the game. This commitment from U.S. Soccer gave players another unique opportunity to develop further in areas such as mental training and preparation. "We are very pleased with the efforts and outcome of the Winter Showcase," U.S. Soccer Development Academy Director Jared Micklos said. "The mission of the Development Academy is to develop world-class players. To develop into a world-class player, our athletes need to train and compete in positive learning environments that are conducive to their individual development pathway. This environment includes providing a first class facility with the highest quality coaches and referees possible so that each have their own development pathway to becoming world-class in their respective roles. The Winter Showcase ties our three major sporting initiatives together and maximizes the opportunity to develop world-class players, coaches and referees by providing a world-class event."